Almost wordless: These little guys were probably only a week out of the nest when I took this a few weeks ago. I am still seeing youngsters in the yard. 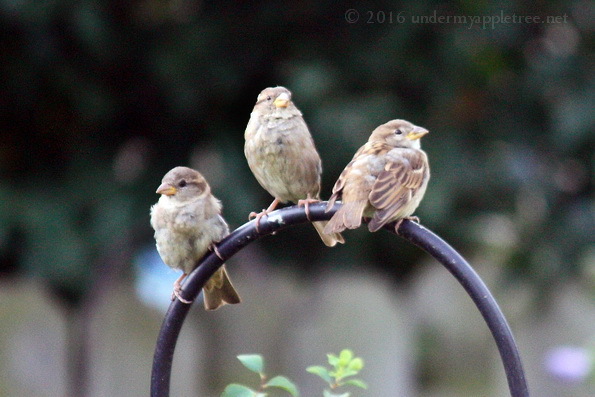 Sparrows will start nests into late July or August because they do not migrate. Leslie … this is one of the most darling photos I’ve seen in a long time. Great capture! They have been so active at my feeders lately. I just love to watch them. They make me smile.